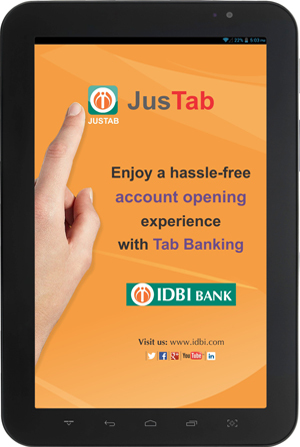 IDBI Bank introduces JusTab � A Tab based Account Opening Process. Now you can start banking relationship with us from the comfort of your Home or Office. Allow us to do the paperwork, that too digitally. And you will receive your account number in hours*.